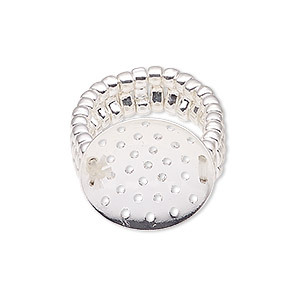 Ring, Blue Moon Beads®, silver-finished steel, 5 loops, adjustable. 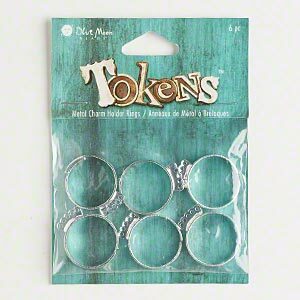 Sold per pkg of 6 rings. 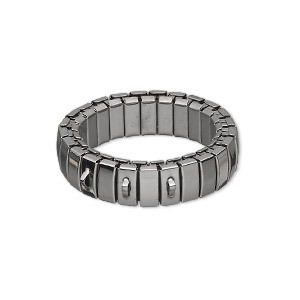 Item Number: H20-C3439CL Have a question about this item? 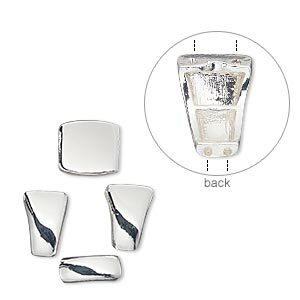 Ring, stretch, enamel and silver-finished "pewter" (zinc-based alloy), black, 15.5mm wide with 16x5.5mm rectangle setting, size 8-1/2. Sold individually. 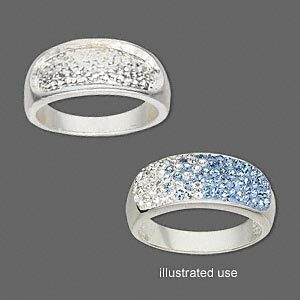 Ring, stretch, enamel and silver-finished "pewter" (zinc-based alloy), lapis blue, 15.5mm wide with 16x5.5mm rectangle setting, size 8-1/2. Sold individually. Ring, stretch, enamel and silver-finished "pewter" (zinc-based alloy), turquoise blue, 15.5mm wide with 16x5.5mm rectangle setting, size 8-1/2. Sold individually. 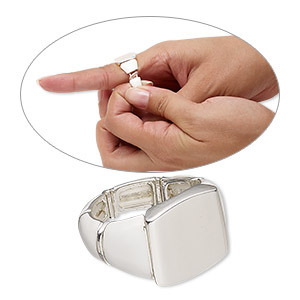 Ring, stretch, enamel and silver-finished "pewter" (zinc-based alloy), white, 15.5mm wide with 16x5.5mm rectangle setting, size 8-1/2. Sold individually. 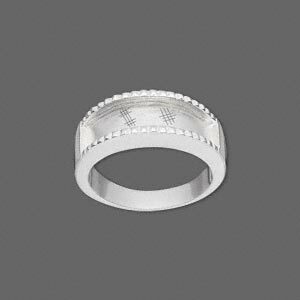 Ring, stretch, silver-finished brass and "pewter" (zinc-based alloy), 8mm wide with 20mm perforated disk, size 6-1/2 to 8. Sold individually. 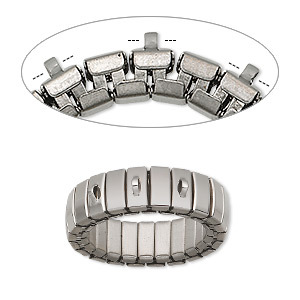 Ring base, stretch, stainless steel, 7mm wide cha-cha with 3 loops, size 10. Sold per pkg of 2.